Long before Beverly Hills, 90210, another gang inhabited the infamous zip code in the land of swimmin' pools and movie stars. 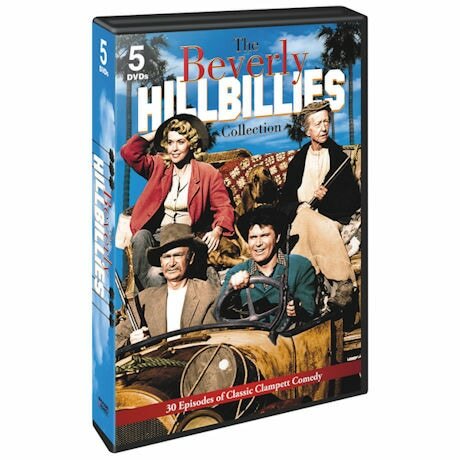 Screen-legend Buddy Ebsen stars as Jed Clampett, who strikes it rich in the Ozarks and moves his unruly, yet good-natured brood to California for a taste of the good life. This hit sitcom was a family favorite for an incredible nine seasons. 30 episodes, 12 ½ hrs, 5 DVDs.